Anschutz Motorsports, LLC is a family owned business founded by Mark and Gwen Anschutz. Mark runs the shop with the help of his brother Rick, his son Trevor, and his son-in-law, Dustin. Mark and Rick bring a wealth of experience to the motorsports service industry. Having started racing motorsports themselves at a very young age of 8 years old. Anschutz Motorsports is now a supporter of the Mini-Chopper program in local area schools including Manitowoc, Valders, and Mishicot. Prior to opening the business at the location it is now, Mark had serviced many recreational vehicles out of his home for many years. 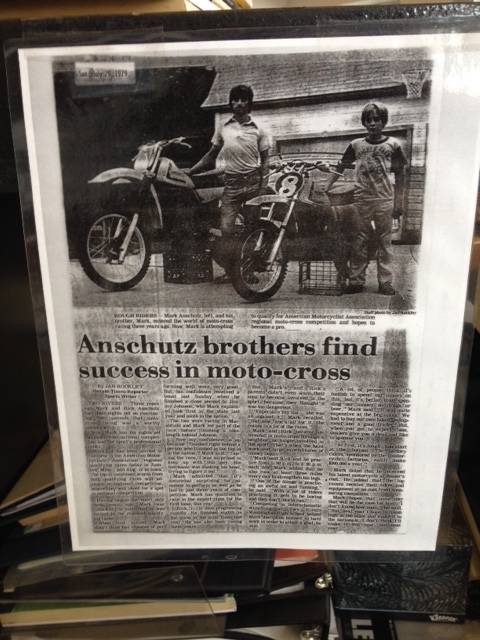 In 1997, Mark decided to go full time and opened up Anschutz Motorsports in Manitowoc. Anschutz Motorsports offers full service to all makes and models of recreational vehicles including: Motorcycles, Off-road and Street Bikes, ATV’s, Snowmobiles and Watercraft from oil changes to a full engine rebuild. Check out our product and services sections for more!